I pray for all people in the world, that there will be peace among nations,that the economy will get better, blessings for the poor, homeless, unfortunate and the sick. Most of all, I pray for my mother, brothers and sisters and their family for good health and prosperity and protection from harm. 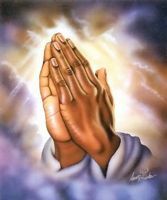 I need your help in praying for the above intentions. Thank you.